Classic & new LEGO brand truck sets compared! It's a showdown for/of the ages, LEGO sets 6692 from 1983, 2148 from 1997 (re-released as 10156 in 2004), and the most recent 3221. They're all proudly LEGO-branded with the white-on-red logo contrasting against pure yellow, but the similarities quickly disappear from there! 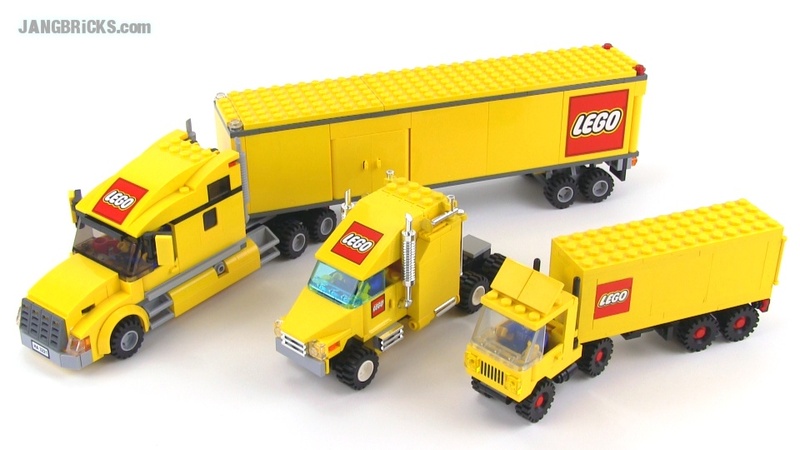 Official LEGO Trucks compared! 1983 vs. 1997 vs. 2010!